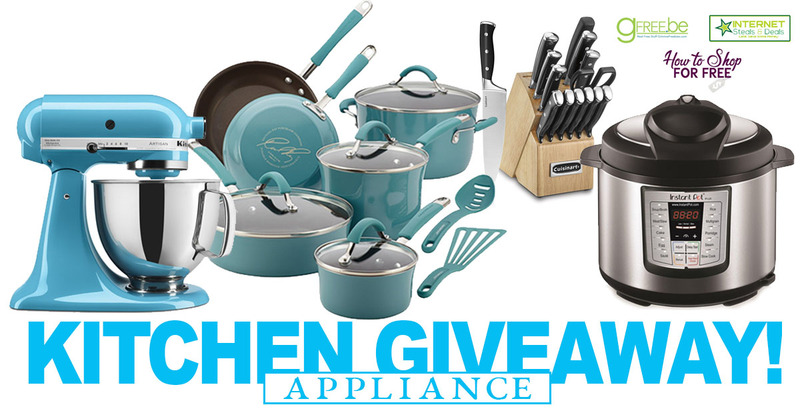 You are here: Home / Giveaways - Sweepstakes & Contests / We Are Giving All These Kitchen Appliances Away! We Are Giving All These Kitchen Appliances Away! Kitchenaid Mixer: winner is Jamie Giles! Rachael Ray Cookware: winner is Laura Royal! Instant Pot: winner is Jerry Marquardt! Cuisinart Knives: winner is Jim Blodgett! We are teaming up with some of our favorite bloggers (who we know you’ll love too!) to bring you this amazing new giveaway! And YOU get unlimited entries just for sharing your unique link with friends!! You can both win big! Find the entry form below. Good luck!